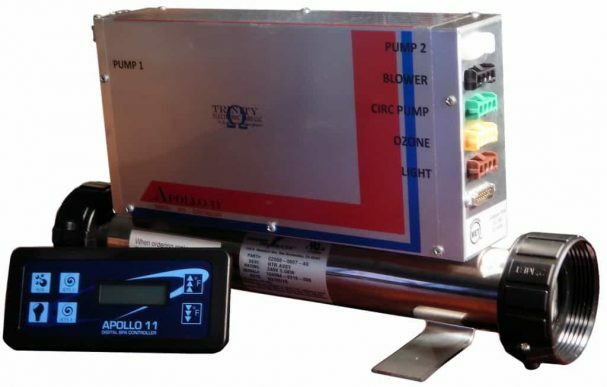 The BCS 3100 Baptistry Heater is powered by the Apollo 11 Digital Spa Controller. 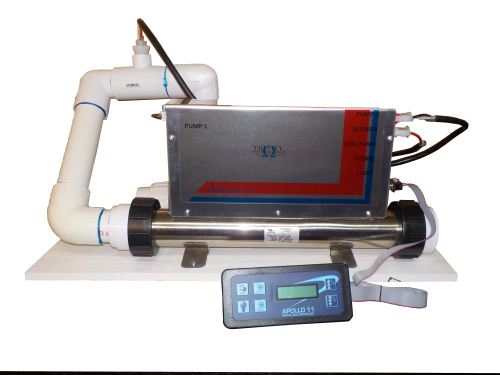 It is an easy to install, complete control system that can be used to upgrade or replace the original control system for all baptistries. 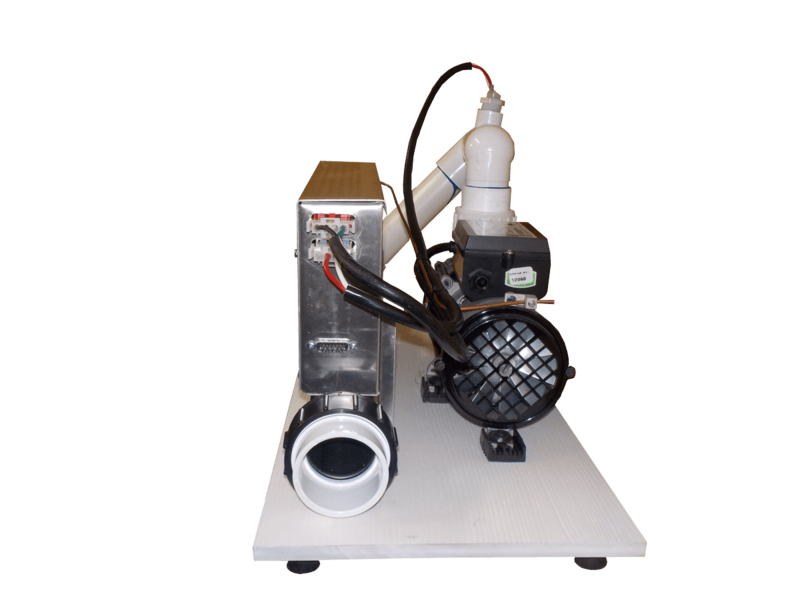 This replacement control system includes a heater, circulation pump, flow switch, top-side control, and sensors. Works on either 120V or 240V (MUST have a neutral either way). 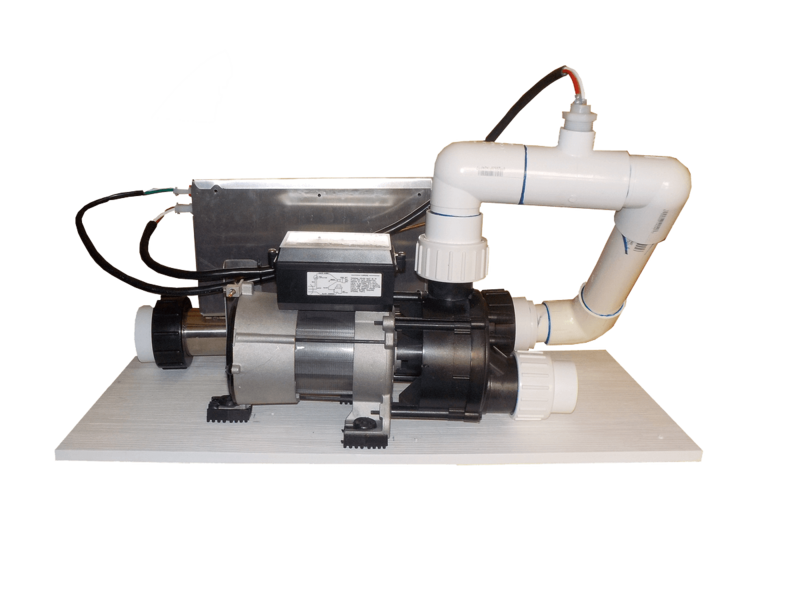 Three heat modes Standard/ Economy and Weekend to save on operating cost by allowing you to choose whether you want the water hot all the time only on weekends. 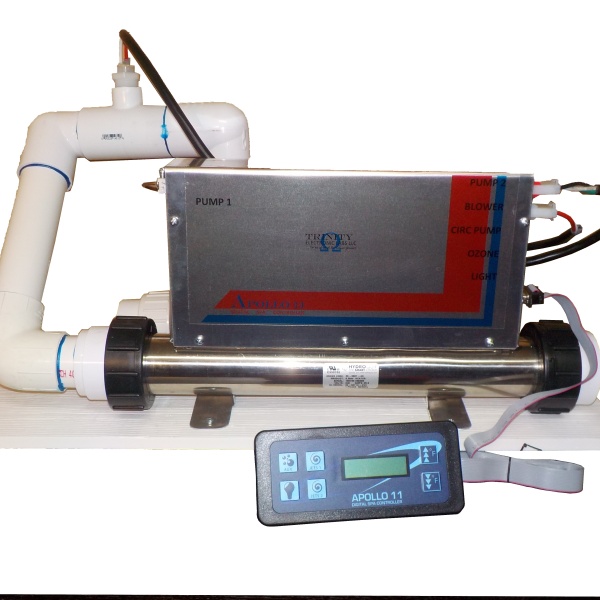 Preset filtering for 2 hours twice a day maintains water clarity. Filter time can be set or use the default time or not filter at all. 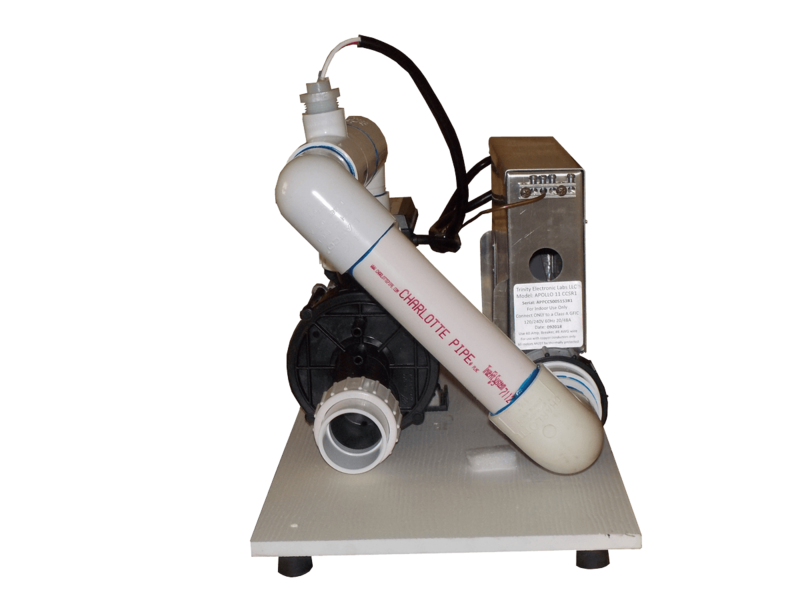 The system can be plumbed to the baptistry for permanent installations or use a flexible tubing for temporary use. Unit must be connected to a GFIC.